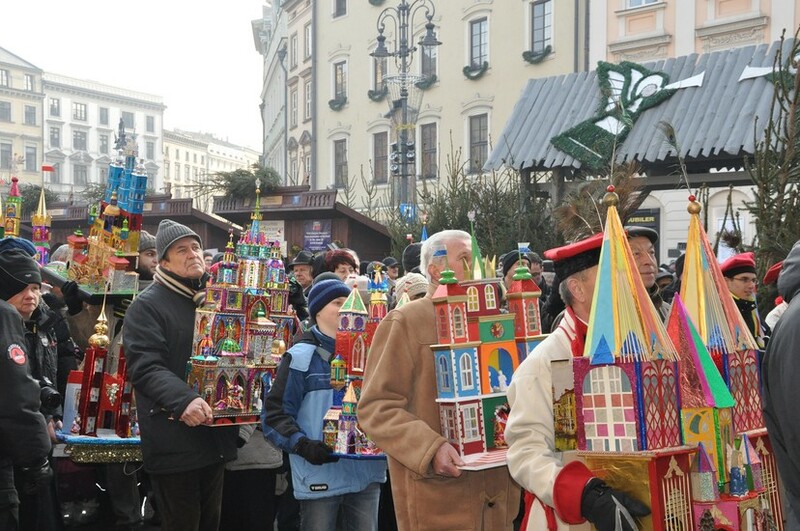 One of Kraków's most idiosyncratic Christmas traditions is the popular creation of szopki. 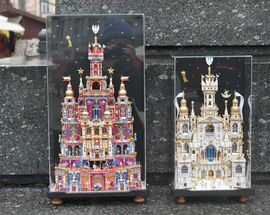 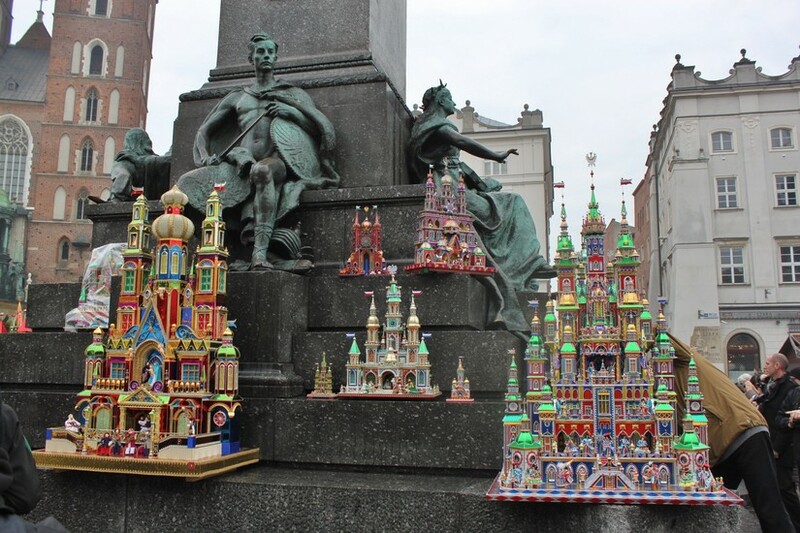 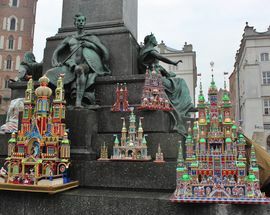 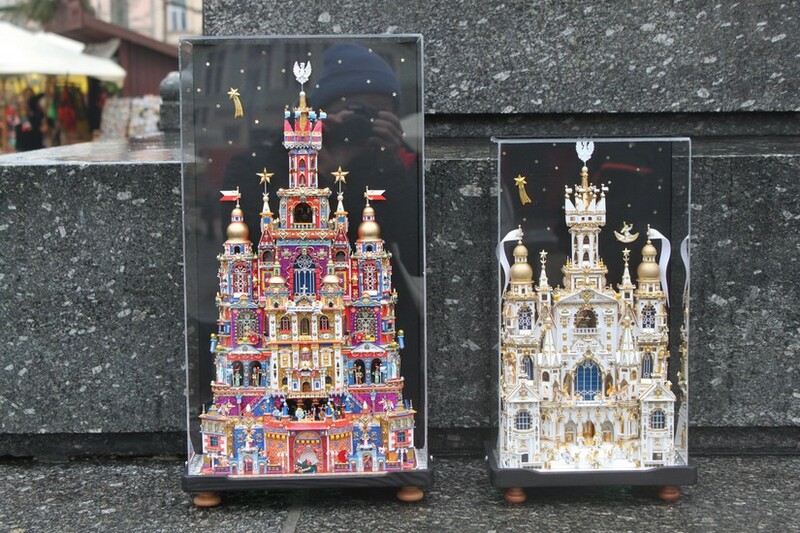 Something of a strange cross between a nativity scene, a gingerbread house, and a dollhouse, these unique structures more resemble colourful, foil-covered castles or cathedrals than cribs and are the bizarre result of a folk tradition dating back to the Middle Ages. 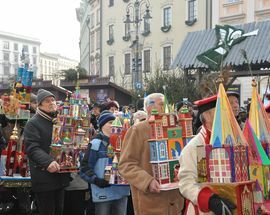 Re-popularised in 1937 with the first official Christmas Crib Competition, 2018 marks the competition's 76th edition. 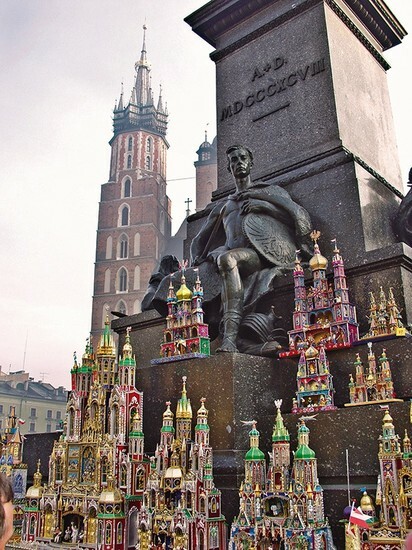 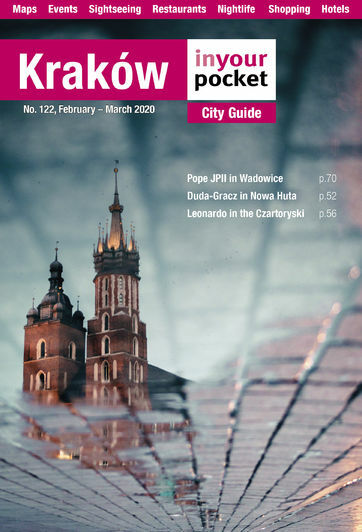 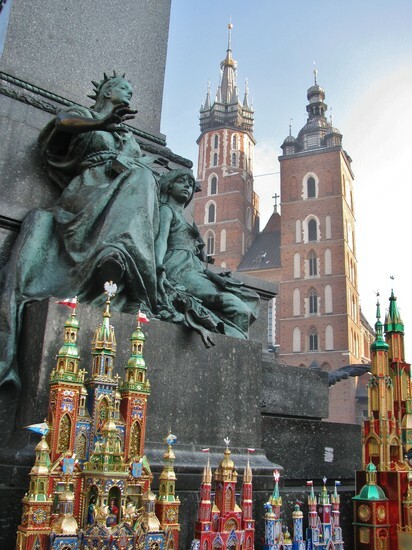 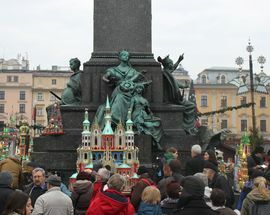 Locals will begin gathering at the Adam Mickiewicz monument on the market square with this year's entries at 10:00, and you can expect large crowds admiring their work and snapping photos until noon, when the szopki will make their way around the market square in an official procession before being disappeared for judging. 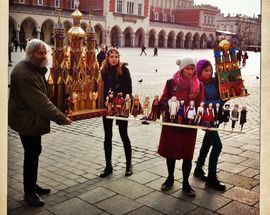 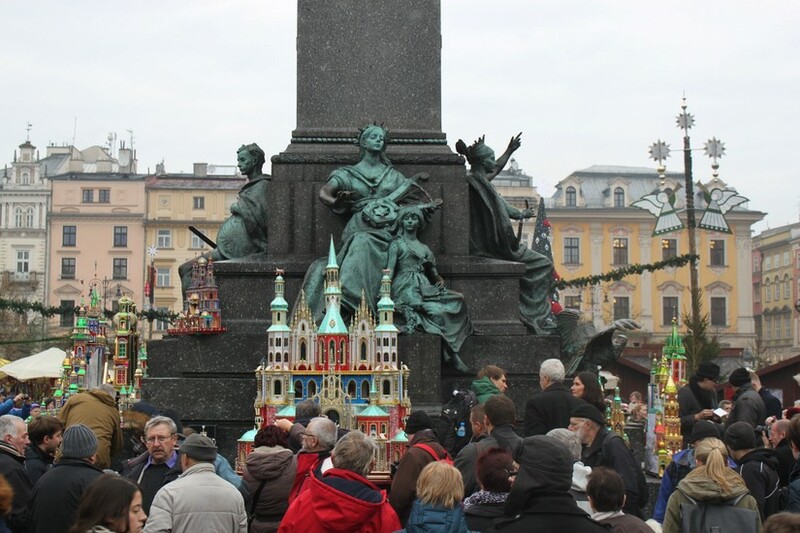 If you can, put yourself on the market square the morning of December 6th to witness this unique folk tradition; if not, don't miss a visit to the subsequent szopki exhibit at Celestat (open December 9th until February 25th) during your stay.